Nexus Inland Northwest is a non-profit organization that has been serving Individuals who face communication barriers. We serve a widely diverse population of individuals experiencing deafness and/or hearing loss in a large geographic region of the Inland Northwest. 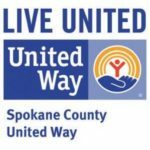 Services are provided to individuals, schools, medical offices and hospitals, businesses and organizations in the smallest and most remote communities in Washington State as well as communities in larger cities like Spokane, WA.